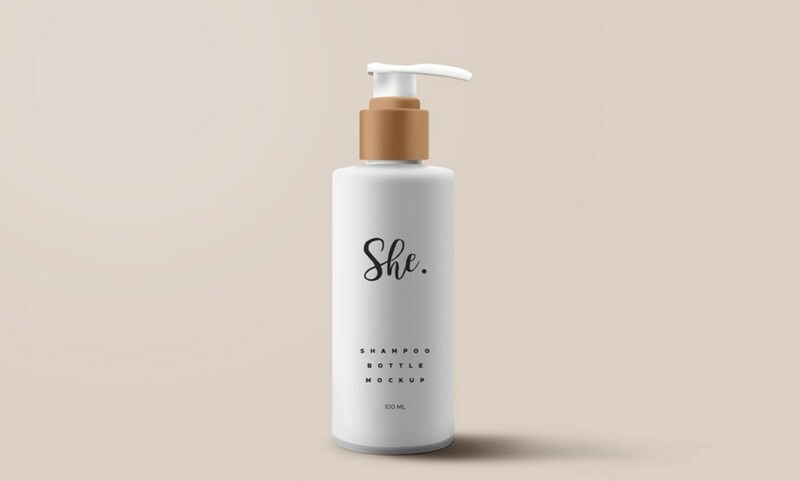 Friends, this is a cosmetic shampoo bottle packaging mockup in PSD format. The free mockup template in 3 variants with the bottle standing, lying and levitating. The template is ideal to showcase your cosmetic design. You can change the bottle and background color and add your own graphics using the smart-layer.